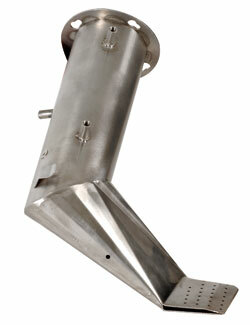 Designed for superior reliability, welding ease and maximum performance. The Sievert TW 5000 was designed with the professional in mind. It is the most versatile, reliable, powerful and easy to operate automatic welding machine available in the market. In designing the TW 5000, performance and innovation were the top priority. 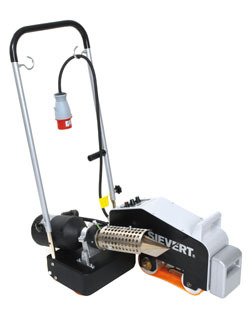 The Sievert TW 5000 is designed to weld any membrane, including as plastics, rubbers, modified bitumen’s, PVC-P, ECB, EPDM, CSPC, and TPO just to name a few. Temperature and welding speed are electronically controlled, therefore independent of voltage fluctuations. The digital display provides the user with an easy, accurate, computerized set of speed and temperature. The TW 5000 offers a temperature range of 104°F to 1225°F and speed setting of 20.5 f.p.m. With just a change of the welding nozzle, you can easily transform your TW 5000 to weld modified bitumen. The Sievert TW 5000 comes standard in a heavy duty steel box providing you with a sense of durability and security. With adjustable weights up to 40 lbs and a telescoping handle adjustable to anyone’s height, it is easy to see why the TW 5000 is the professional’s choice for a quality made, high-performance welding machine. Backed by Sievert's outstanding one year warranty and our 10 year in hot air welder service. Power cord length 3 ft.
with 130mm outlet tube. Item #2993-47. Additional weight for adding pressure when welding special demanding material. 230 V ceramic hand-wired encapsulated heating elemtent especially designed for the TW 5000. High quality welding nozzle made of sturdy stainless steel. Designed specifically for the TW 5000. 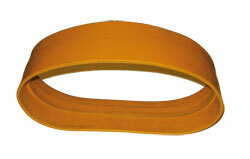 A 6'' wide silicone belt designed for the TW 5000. Designed to help eliminate wrinkles and offer more welding stability. 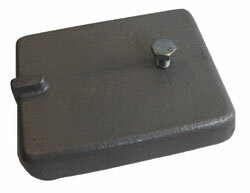 Sturdy box made of steel. Footed, offering you the ability to insert forks underneath. Comes standard with exterior handles and interior straps allowing you to secure your TW 5000. Sievert 7990-47, replacement Heater Element. 230 V ceramic hand-wired encapsulated heating element. Fits TW 5000. Price/Each. 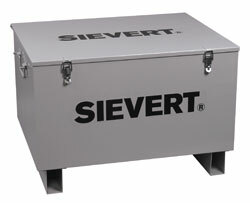 Sievert 7990-70 Steel Tool Case, 24 x 30 x 18 inches high. Outstanding quality universal tool box. Fits Sievert TW 5000 Welder and other popular tools. Price/Each.